Have You Experienced a Wear and Tear Workplace Injury? A wear and tear injury typically takes a long time to start showing symptoms and is often harder to prove, but it’s not impossible! When we think about a workplace injury, we often picture an accident such as a worker getting their hand caught in machinery, a car accident, a slip and fall accident, etc. The reality of work injuries is that while those situations do take place, there are a variety of less dramatic ailments that workers experience. Many of them can be classified as wear and tear injuries. If you believe you have experienced one of these types of injuries, don’t hesitate to call a St. Louis workers compensation attorney. A wear and tear injury is one that comes about over a long period of time. The opposite is an acute injury, which has a clear cause and is easy to prove. A wear and tear injury typically takes a long time to start showing symptoms and is often harder to prove. 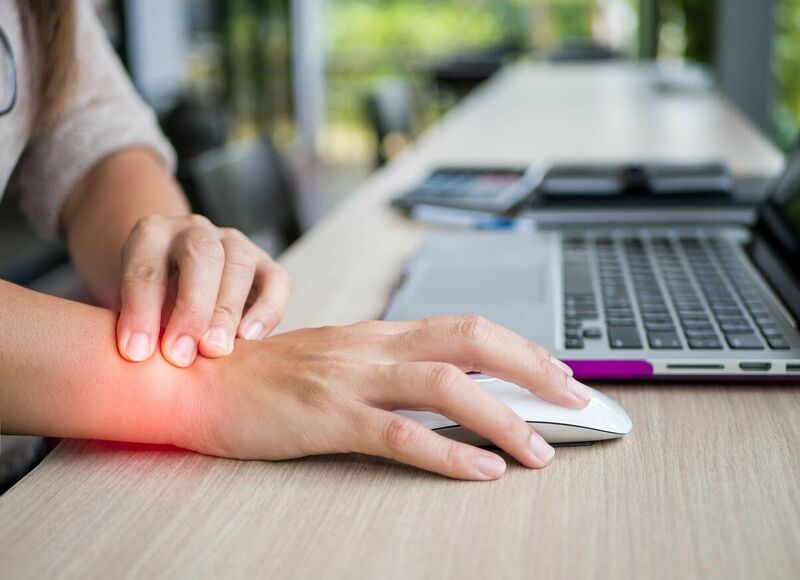 Carpal Tunnel – This ailment is characterized by pain and numbing of the fingers, wrist, and arm. It is caused by repetitive use and most commonly affects office workers. You can avoid it by taking breaks, doing wrist exercises, and wearing preventative gear. Hearing Loss – Loss of hearing is caused by excessive noise. The typical professions that are at risk are construction workers, airport ground staff, factory workers, and farmers. To keep yourself safe, use earplugs explicitly built for the workplace. Shoulder Pain – Because of the anatomy of the shoulder, injuries can take a long time to show symptoms and after they do, often become chronic. If you are at a job where you are lifting a lot or awkwardly using your shoulder, you should be careful. As mentioned above, it can be much harder to prove wear and tear injury, as opposed to an acute one. That does not mean it is impossible, though. Evidence that you can compile for your case includes medical documents, employment history, expert opinions, and witness testimonies. First, it can be hard to prove the injury in the first place. Most of them are not apparent to the naked eye, so they are less likely to be accepted. Second, it is harder to prove that these ailments are a result of work. When an injury takes many years to develop, tracking its cause can be difficult. Not every workers’ compensation case is as simple as an acute injury. One complication that can arise is when your injury is from wear and tear. In this situation, your case gets much more complex and is best handled by a St. Louis work injury lawyer. Just because your injury is less obvious does not mean you’re not entitled to compensation. Talk to a lawyer today and see if you might be eligible for benefits. The workers’ compensation process involves the Division of Workers’ Compensation, your employer, an insurance company, medical providers and possibly a liable third-party. It is no wonder that injured workers find the process difficult to understand and hard to follow. If you have developed wear and tear injury, contact the Law Office of James M. Hoffmann today at (314) 361-4300 or fill out our online contact form. For more than 20 years, our firm has helping victims of work-related injuries receive the compensation they need and deserve.